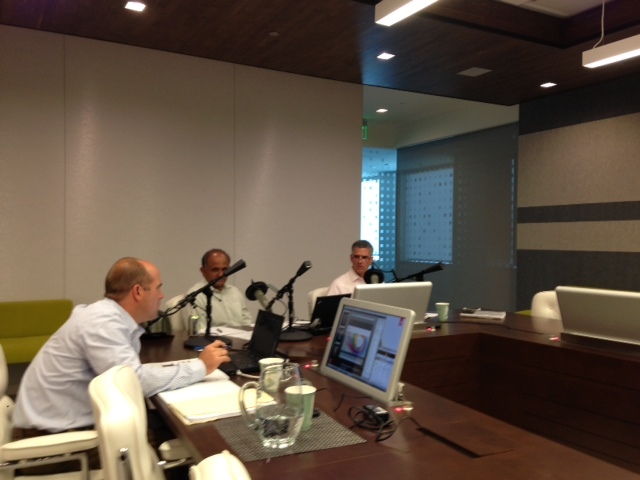 We just finished up our Adobe Q2 earnings call. Congratulations to the employees of Adobe for another solid quarter. This was somewhere north of my 40th quarterly call (including with other companies). It’s something I often get questions about from employees and colleagues: What’s the process for preparing for earnings? How are script and slides prepared? Who participates in the call? What is the call like? That last question came to mind while I was listening to our executive team discuss our financial results and answer questions from financial analysts. So, I snapped this picture. Behind the microphones are Mike Saviage, (Adobe VP of Investor Relations), Shantanu Narayen (Adobe CEO) and Mark Garrett (Adobe CFO). Judging by the looks of it, these three may also have promising future careers as hosts of an NPR talk show. Earlier this month I received a letter from a partner of a New York law firm inviting me to present as part of a panel at a large legal conference. I was asked to select the session that I wanted to speak at and return a signed copy of the letter by facsimile to indicate my willingness to participate. The theme of the meeting was “How firm attorneys can better serve their business clients”. And I was asked to use a fax machine to provide my reply. How ironic. It almost made me want to rummage through the garage and find that box with my old acoustic coupler and IBM XT. The truth is that I’ve been working at Adobe for nine months and I don’t even know if we have a fax machine. Obviously it’s not that we don’t need to communicate externally. Instead it’s because we use a host of different technologies that are more effective and environmentally friendly. One of these is a product called Adobe EchoSign that allows documents to be routed, tracked and signed electronically (and with the latest release documents can even be signed using mobile devices and while offline). We use it for almost every company document that requires a signature – as do many of our customers. It’s a much more efficient way to sign a form or agreement, forward it to another person and keep track of where it is in the approval process all through your PC, laptop or mobile device – no more having people walk around with colored folders of paper documents with “sign here” tabs. Electronic signatures are secure and legal in most jurisdictions. I am constantly struck by how reluctant the members of my profession are to embrace new technologies. I still recall a law firm partner in the 1990s cautioning my company’s legal department against using email. A few years later, many legal seminars I attended counseled that companies should prohibit employees from accessing the Internet while at work. 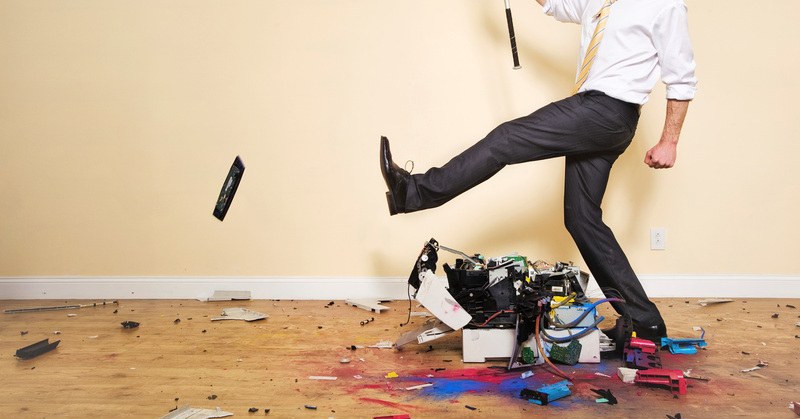 I’m not alone in my views about lawyers as luddites. It’s a common complaint I hear from business clients and other in-house attorneys. As an example, the attorneys at Kia Motors have gone so far as to audit the technological prowess of the firms they use. It’s a change of just a few words; however, hopefully it will move the profession more quickly into the Digital Age. The result will be greater efficiency for firms and more satisfied clients. The Adobe legal department recently got rid of the books in our legal library – after all it is the Digital Age. 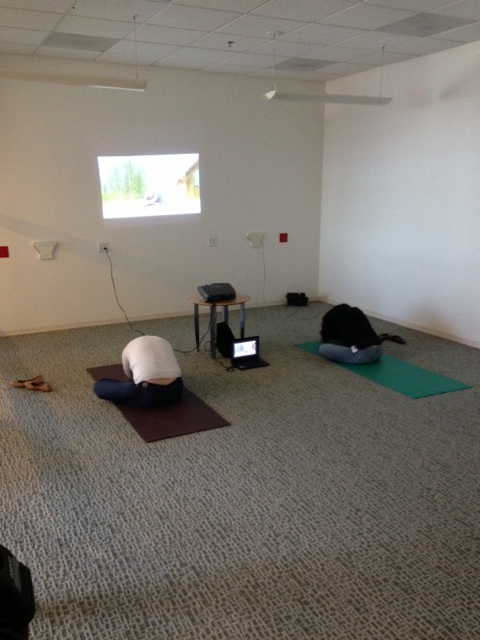 While we’ve been planning on how to best utilize the space, a couple of our attorneys came up with their own idea – end of quarter yoga. Forget all those stereotypes about attorneys. 1. Perhaps, now we can start focusing on solutions? 2. Happy 20th WWW. I remember when you were but a child. 3. Ultimately, it really is all about the nail. 4. Ok, now I feel a little bit better.